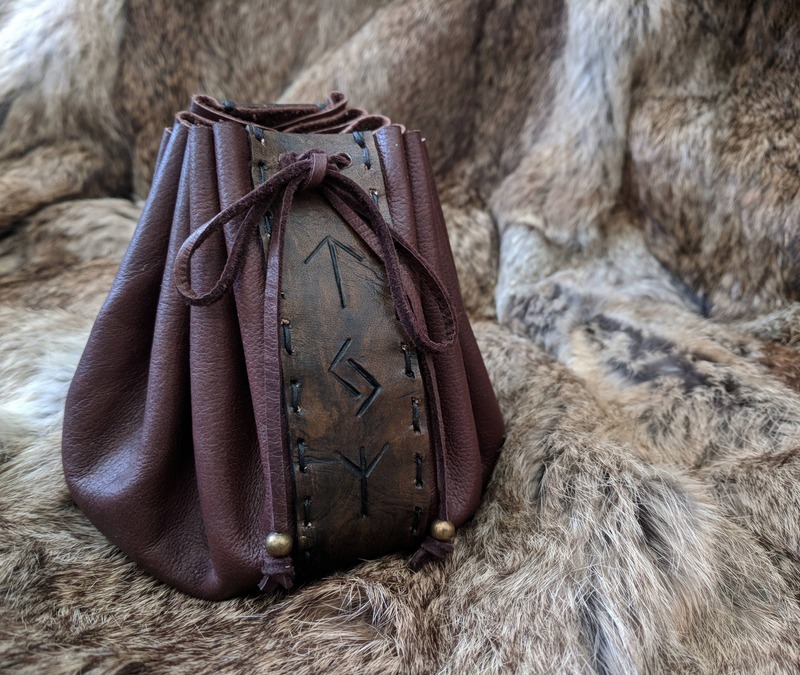 Viking inspired leather rune pouch, made with high quality genuine leather! 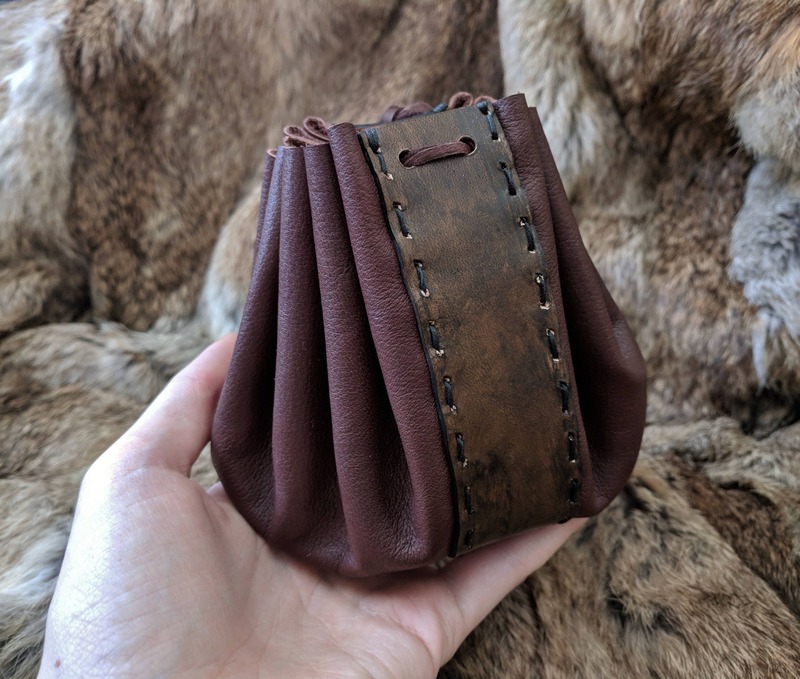 Circular style opens up, this fairly large size pictured is able to hold even large rune sets, or other special items to you. 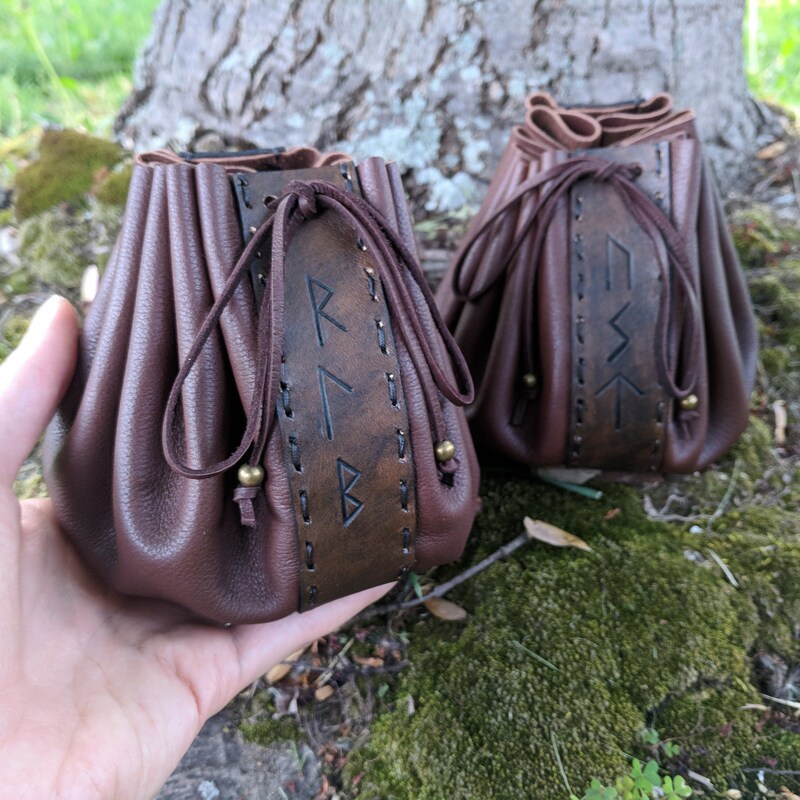 Handmade with respect & attention to detail. 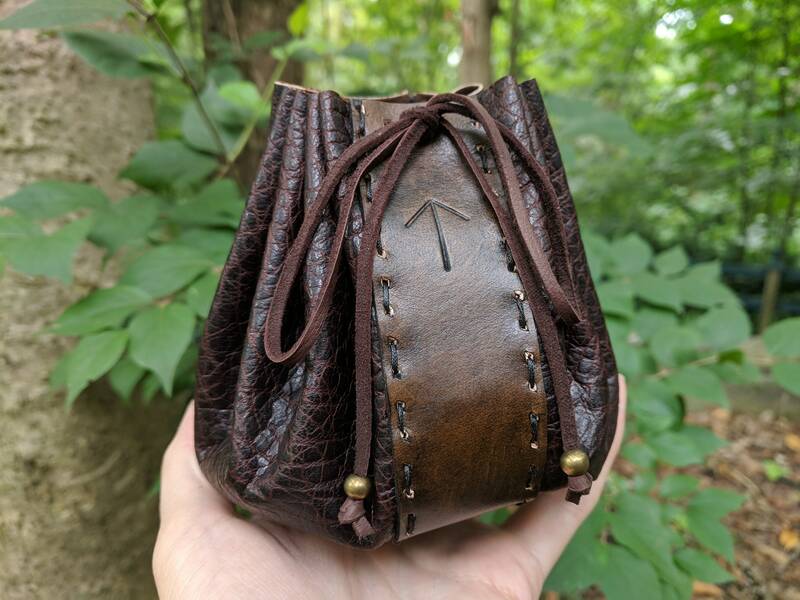 Hand sewn, leather cord has brass beads. 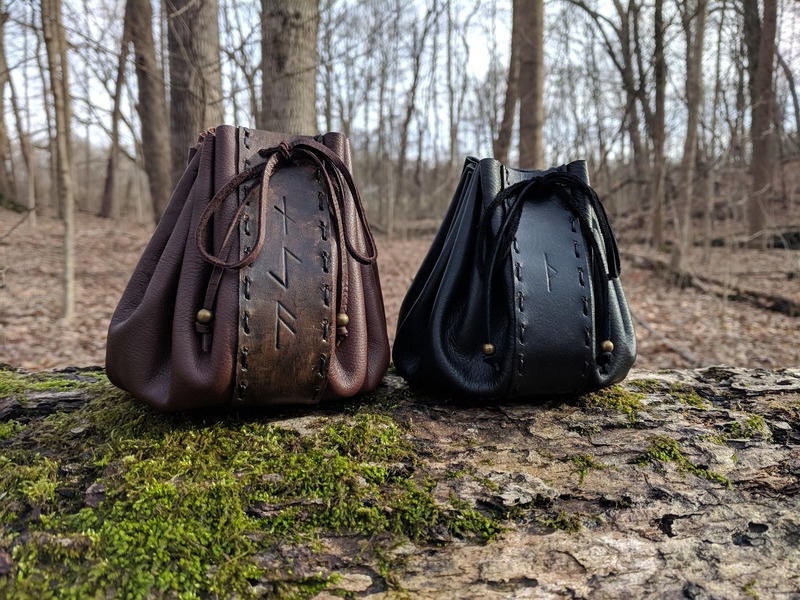 - Dark Chocolate Brown leather with grainy texture currently available is shown in picture #3. 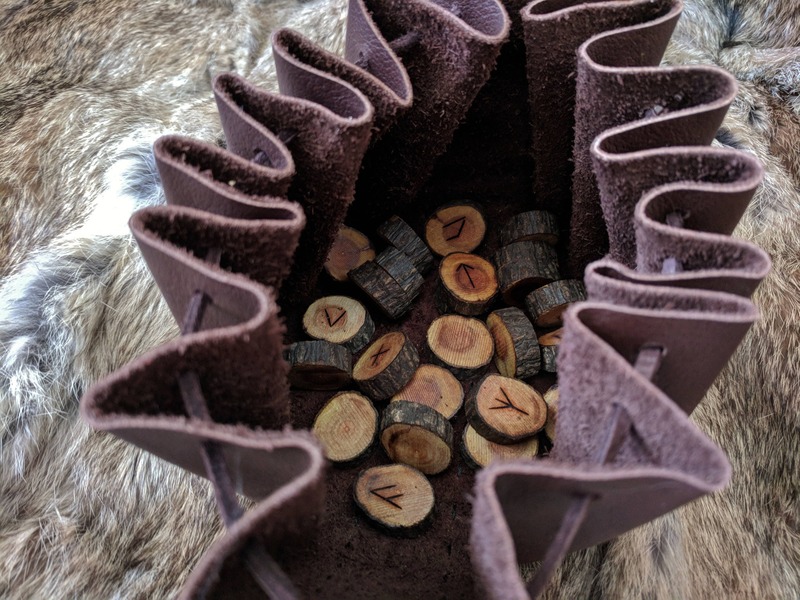 - You can order the bag plain, or choose to have up to 4 runes stamped into the center of the pouch. Please see photo #2 of this listing for their names. Tell us which ones you want at checkout. 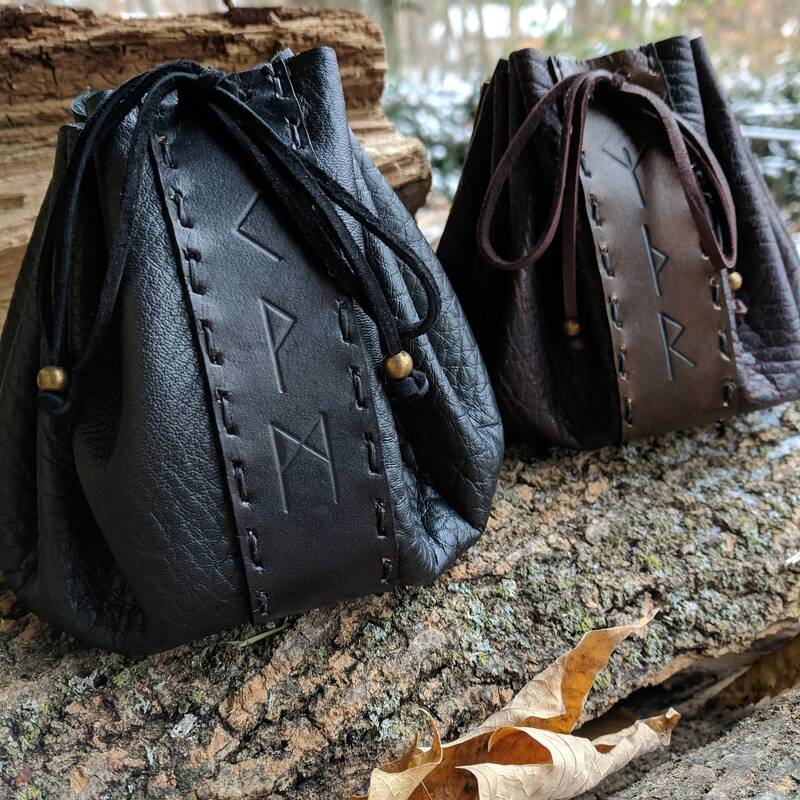 - These pouches are not returnable, as each combination of runes make them unique to you. Made to Order, allow approx. 1 week to be made plus shipping time. Beautifully done and fast fast shipping, could not ask for more. 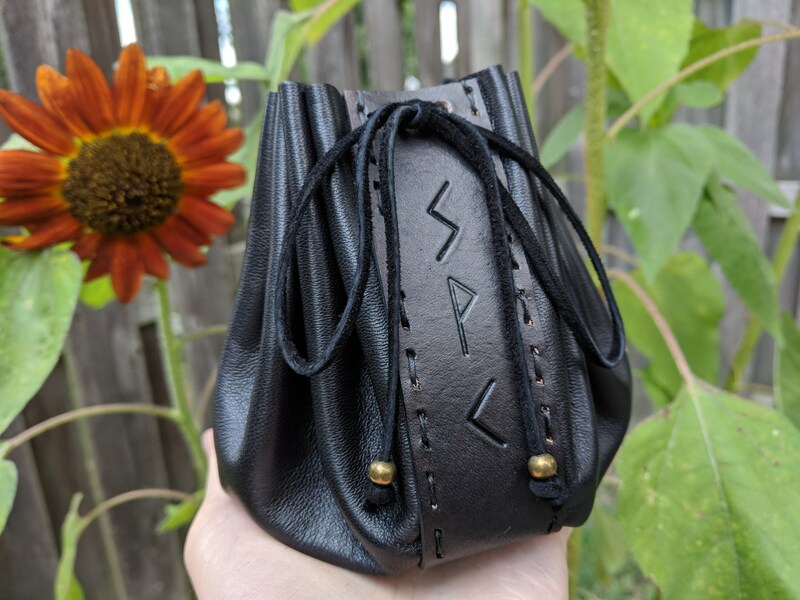 Very quick shipping! 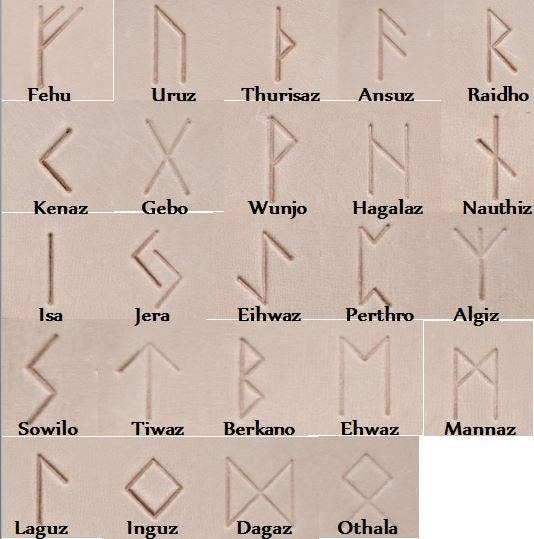 Piece is beautiful! 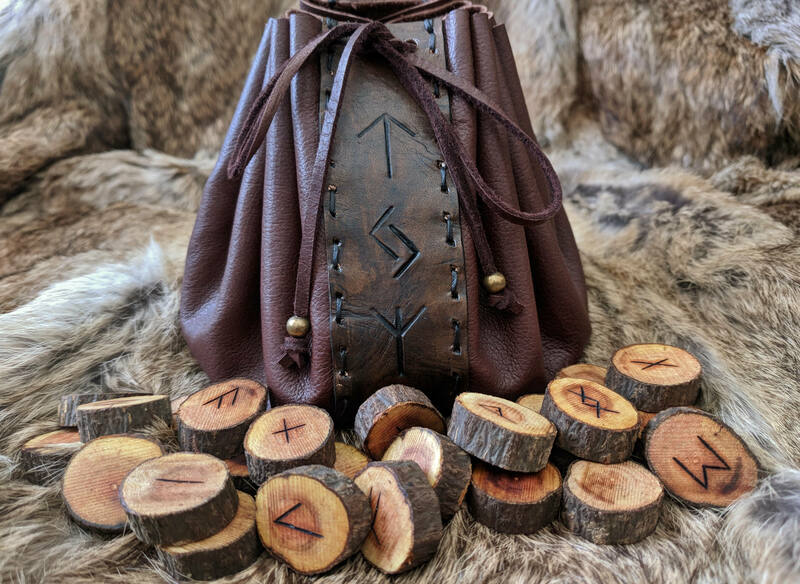 Quality leather , runes were nicely done . I am very happy!!!! Smaller than I thought it would be, but quality craftsmanship.